"Writing is immensely difficult," Doctorow once told George Plimpton, "The short forms especially." We use time-lapse photography to witness the things we can’t see in real time -- the blooming of a flower or a tree coming into leaf. Kincaid uses the form of the novel to illustrate the things that Mrs. Sweet could not see in her own life, flipping through the ordinary moments that make up Mrs. Sweet’s mostly sweet existence -- moments spent gardening, moments spent nursing her son, moments spent driving her children to school, moments spent in a little room off of her kitchen, writing -- to reveal the larger story: that of a disintegrating marriage. This is a very rare gift! 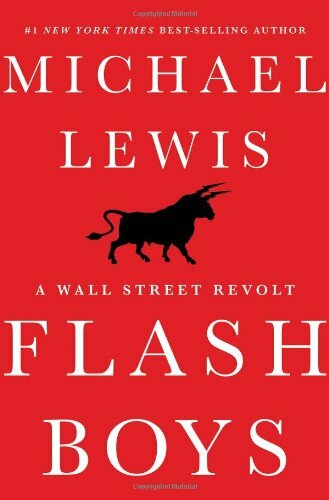 Look forward to reading this book in large part to try to see how Michael Lewis accomplished it here. When technicians (engineers, tax lawyers, what have you) can’t explain their message so that it is understandable to a reasonably well informed audience, it is their own fault, not the audience’s. It is all a matter of breaking their message down into understandable components and walking people through it. a.) Any narrative has “curated” from the infinite amount of possible information out there, based on the needs of the story. Hyperlinking sets the reader free with no guide. b.) Zinsser (referenced in comment above) takes a very concrete step by step approach. A “recipe” what are all the things that must be done, in what order, to reach the end of the process? c.) Lewis’ explanation of the technical aspects of HFT (“technical” “boring”), to me, is the greatest strength of a book like this. As Mr. Bourne notes, he has brought attention to HFT that wasn’t there before. d.) Intriguing observation that a theme runs through the author’s books (From Moneyball, on). Does this create a danger of bending facts to fit the narrative? Reminds me a bit of the “unreliable narrator” of fiction. e.) I’ve noticed a trend (saw it most recently in comments on Cynthia Ozick’s recent review of a biography of Kafka and a review of Mad Men’s Season 7 first episode). Commenters are complaining that the author is overly complex. Yes, Ozick’s writing is very meaty, very chewy. Yes, you must slow down when you read her, but what a pleasure! I will read anything topic that she sets her immense intelligence to pondering! I don’t know if the “powerful inside interests’ are being deliberately obscure, or it is instead a torpid citizenry too busy watching “Swamp People” to keep up on current events. The fact that the History Channel is even showing “Swamp People” says a lot about us. One positive development is COSMOS on FOX! 'Blood-Drenched Beard' has at its center a fascinatingly headstrong character, one who swims perfectly but flounders on land, who strives for connection with his grandfather while cutting himself off from family -- and one we root for despite not knowing his name.